For those of you who drive downtown on a regular basis – you know that it has been a trying summer. State Street has been loudly under construction as its wastewater system gets an upgrade, with a new stormwater runoff separation system being implemented, along with new brick sidewalks and street lighting. While it’s going to be gorgeous when it’s all done – the road has definitely done a number on the suspension of my car from driving home each night. I thought I’d bring the camera along to lunch at Googie’s this week to snap a few shots of the progress being made. 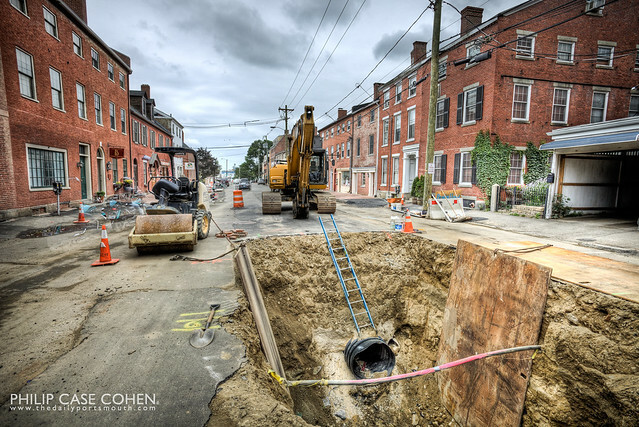 It’s actually quite fascinating to peer down into the holes that are being dug in the pavement….a few of the guys told me they’d found the old wooden sewers from a couple hundred years back – and I’ve seen some brick sewer piping in one of the trenches too. 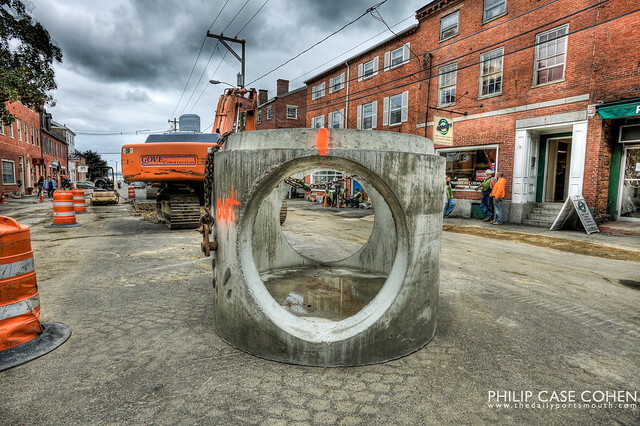 The next shot features one of the storm drains that will be a central part of the State Street system. I can’t wait til I can feature the newly paved State Street with all of its new street lamps – and motion blur from all of the swiftly moving traffic that will return. 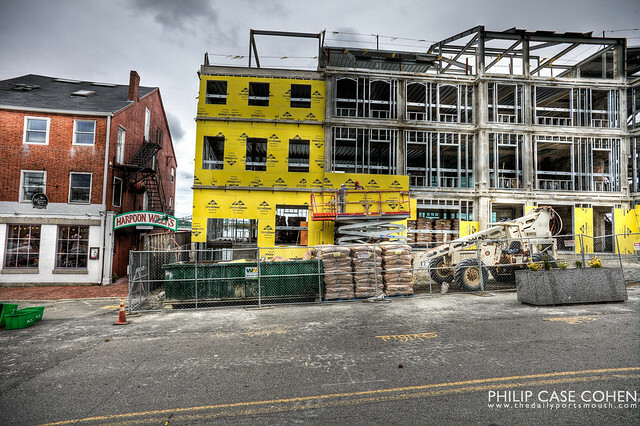 This shot features the Martingale Wharf building as it gets another layer to its skin…as seen from Bow Street.